students that are injured during school hours or during school-sponsored activities. 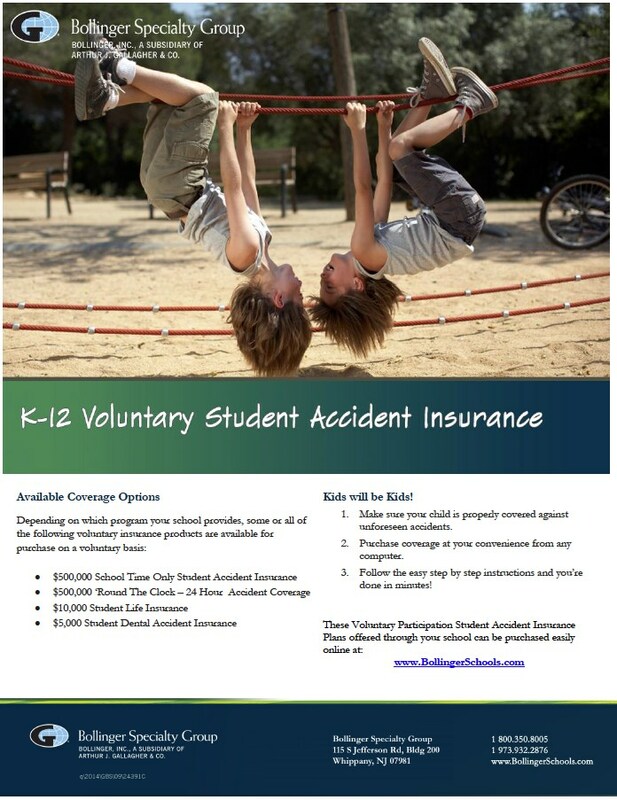 purchased through Bollinger Insurance Co. via www.bollingerschools.com. Purchase Coverage and indicate Millburn, NJ as your district name. Click on View Insurance Products/Purchase coverage where you will see the available insurance products and you will have an option to apply and pay online.